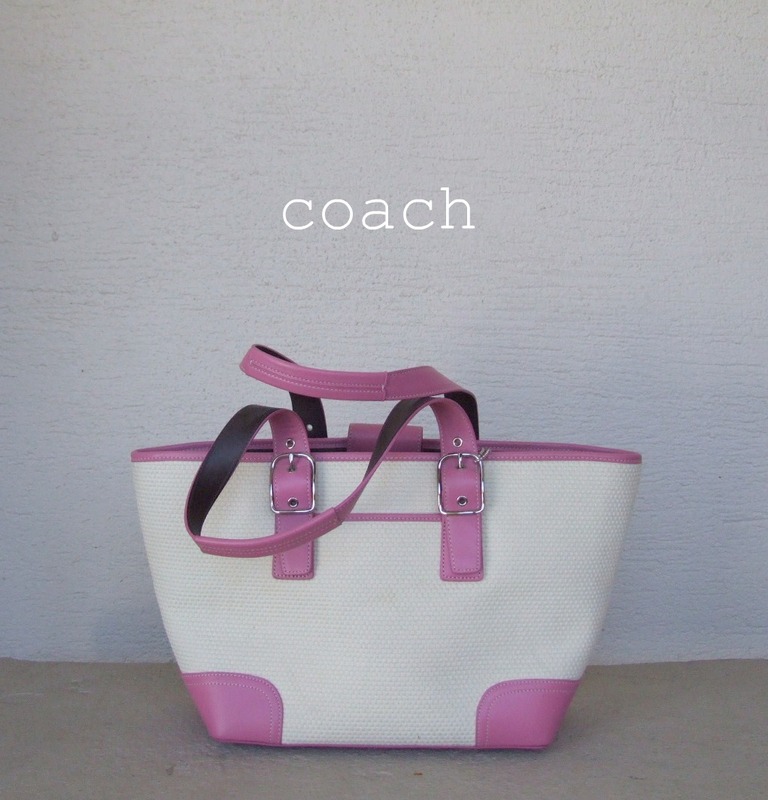 The Satchel: Coach leather and straw tote, a gift from my mother years and years ago? I found my high school ID in it, so that's got to say something. cute and fun series you are doing. How do you have so many adorable pouches and little bags to carry in your purses? Thank you for the sweet Valentine card, you guys are the sweetest bloggers of all! I clearly have a problem! haha the bags are/were gifts, my momma is an ebay wizard! the pouches are often from gifts or freebies-- the vera bradley was from a sale on their site (about $8), the gold bag was from a gift with purchase, I believe. 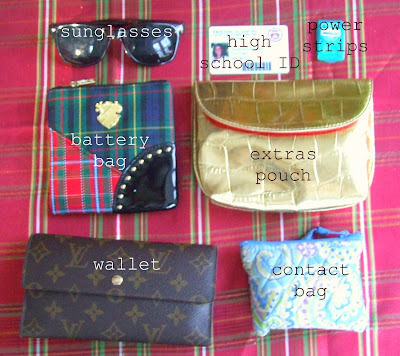 And the Mac bag (plaid) came with some make up my aunt ellen gave me for christmas.. i'd love to get rid of some of my bags, but i am attached to all of them. it's silly. I'm so glad the card arrived!! Thank you for being our valentine!